Welcome to Ultimate Moose Hunting, a online Moose Hunting resource. 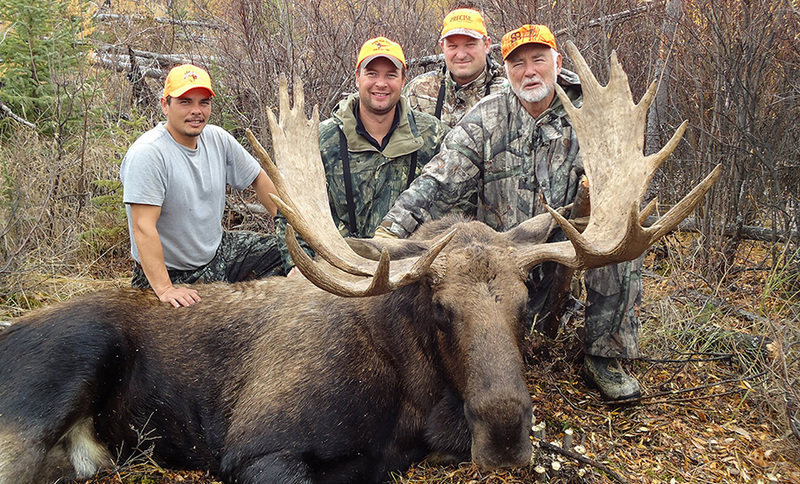 We are a comprehensive Moose Hunting website directory of guides, outfitters and lodges. Clearwater River Hunt: Moose hunting takes place during the rut in remote areas of northern Alberta Canada. To begin your moose hunting trip, we will take you to the most pristine wilderness 6 hours north of Edmonton to Fort McMurray. We will then board our riverboat and go 60 miles up the Clearwater River to our beautiful lodge and cabins. We will be moose hunting off the river in our boat and on top of the cutblocks. You can expect to shoot moose in the range of 40-50inch in this area. Richardson River Hunt: Once you fly into Ft McMurray we will put you on a charter plane and fly you 140 miles north to the Richardson River. From there we will go 40 KM to our beautiful tent camp where we will begin calling for moose along the river and up on top of the ridges. We will be using ATV's with minimal hiking to hunt these big bulls. Being an extreme northern hunt, you may have an opportunity to see bulls over 50". This area is only accessible by airplance with no resident hunting pressure. Our area borders the Yukon and although our moose share the same genetics as the Alaska/Yukon moose they are classified as a Canadian moose in the record books. They range from 1400 – 1600 pounds and have an average spread of 55-60 inches with the occasional bull being over 60. We have a very strong population, there are moose throughout the entire 5000 sq mile area. Our traditional horseback hunts start out at a base camp and often spike out a little further into the high country in some of the high Valleys and brushy basins where moose can be found almost any time of the year. This is a true and exciting adventure, and every moose hunt is different. Big bulls can be spotted miles away and the horses are needed to close the distance and most importantly, pack them out! Most times they still have to be called out into position and will get your heart pumping! It also works well to combo this type of hunt with a caribou, Goat or Stone Sheep! Bull moose hunts, cow moose hunts, remote hunts (drop camp) and lodging available. View our website for more information. Nakina is the top Moose hunting destination in Ontario and maybe all of Canada. Due to the high population of Moose; we receive way more adult Moose tags than outfitters that are farther south. This is why we are able to provide archery (bow) hunts, rifle hunts and Muzzleloader hunts at a very reasonable price. Visit our premium Moose Hunting outfitters, guides, and lodges to plan your next Moose Hunting trip. © Copyright 2019 Ultimate Outdoor Network & Ultimate Moose Hunting. Website Design by 3plains.